Travel Kaunas - Berlin with ECOLINES buses. Comfortable seats, tablet - movies, music. WC, WiFi, 220V, drinks - coffee, tea. 3 free bags. To find out ticket price and bus schedule, please visit the sales system. Book your return ticket Berlin - Kaunas for the same price as in this offer. Campaign valid from 01.04.2019 till 30.04.2019. -Distance between cities — 969 km. -Average time on road in route Kaunas — Berlin: 15 h 5 min. -Time zones difference between the cities Kaunas and Berlin - 1 hours. 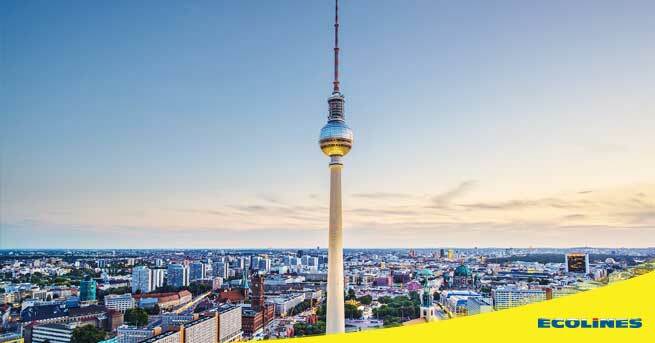 We hope you will choose to travel Kaunas — Berlin with ECOLINES and have a comfortable trip!